“Don’t get your beard in a twist. There’s something really fun about drawing parody dwarves, especially knowing there’s 13 of them to draw. 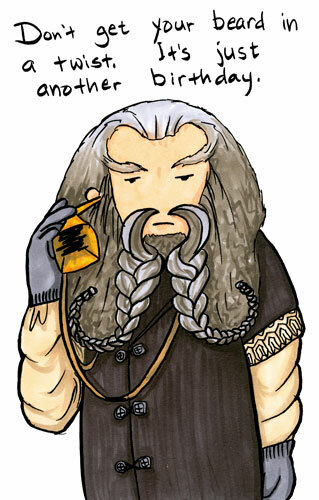 Oin, brother of Gloin, is a rather old and cranky dwarf and a bit hard of hearing. He’s got a couple of hundred years on you and is therefore completely unimpressed with your angst about that big birthday milestone. 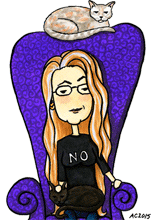 I made this for sort of an anti-over-the-hill card, because sometimes I get tired of hearing people worrying about turning 30, 40, 50, or whatever. Also, grumpy dwarf. Okay, mostly for the grumpy dwarf. 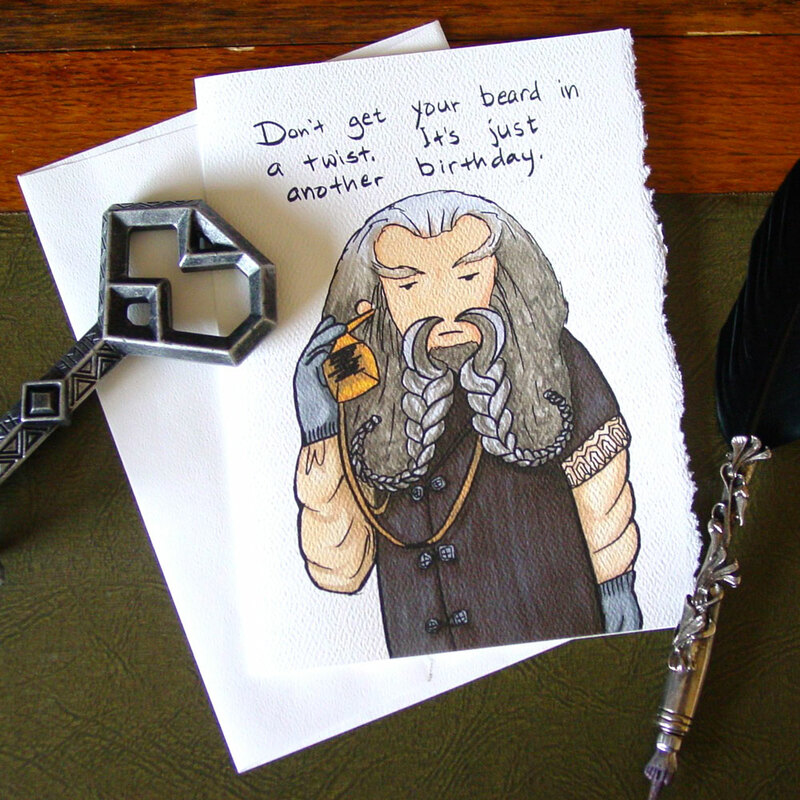 Oin Birthday, 5″x7″ pen & ink and Copic marker on paper, nfs (sold), but you can get him on a card in my Etsy shop.